Discussion in 'Seasoned Marijuana Users' started by emagdnim13, Jun 7, 2006.
some new buds i picked up last night. the ounce ran me 340.
the two nugs shown are 4.0 and 6.7 ish. guy said it was white widow, but i didn't even see the dealer. it was a friend's connection, i just got an ounce through him. 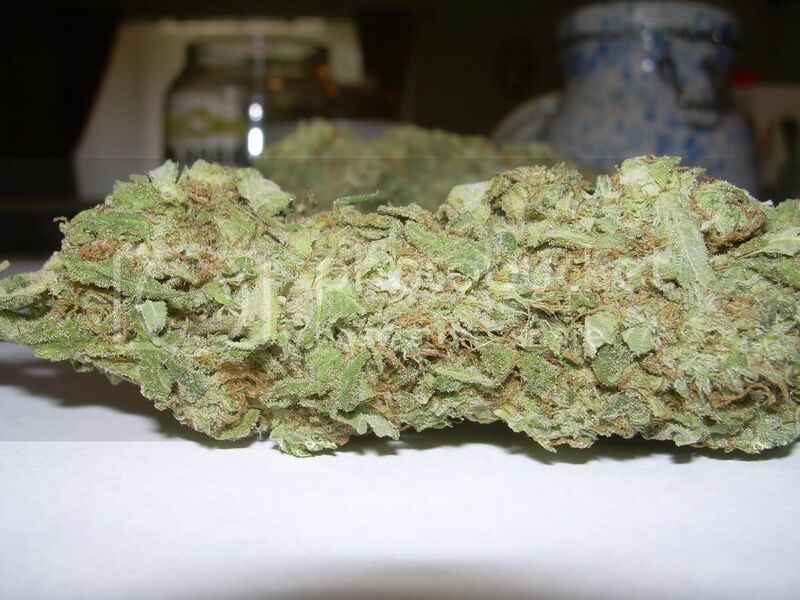 whether or not it's white widow, it's some dank bud. 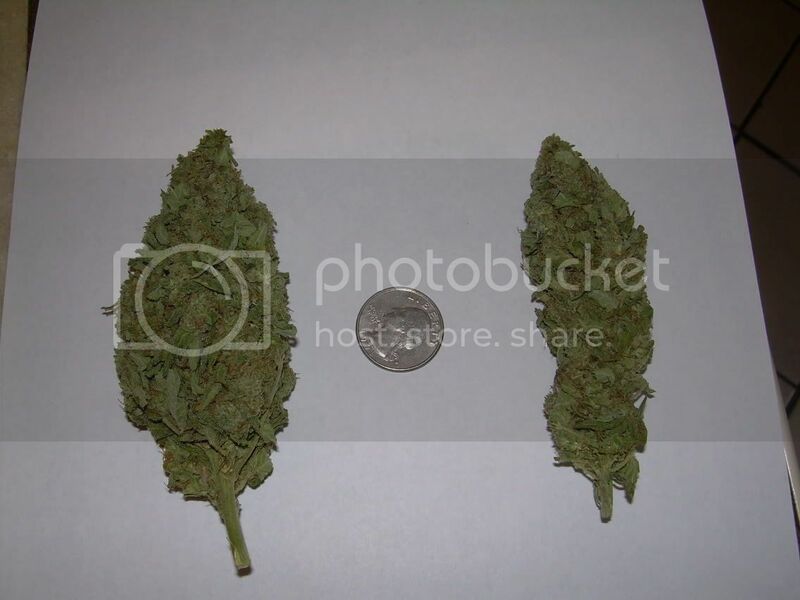 very fluffy, and the bags weight, for the most part, was in 4 nugs like the 2 pictured. also included me and my gf milking the new blue dot. i usually don't get names, and whenever i do they are just good dank. Looks like some nice buds man. What kind of camera did you use for those pics? i used a nikon coolpix L4. it's my girlfriend's. i really don't know much about it other than how to use macro and adjust flash and color settings. and how to take video. it's a pretty good camera all around. not sure how much it cost, it was a present to her. just curious, but how many grams does your oz. come out to be? up here, we consider 28g a oz. there were four nugs of varying sizes, all around the size of those two and maybe 3 or 4 grams of smaller nugs and shake. But i bet is sum gooooood dank fo sho! nice buds.. the deleted post said + rep and i realized it wont let me give you rep becasue i alredy did not too long ago. but if i could + rep i would definately. 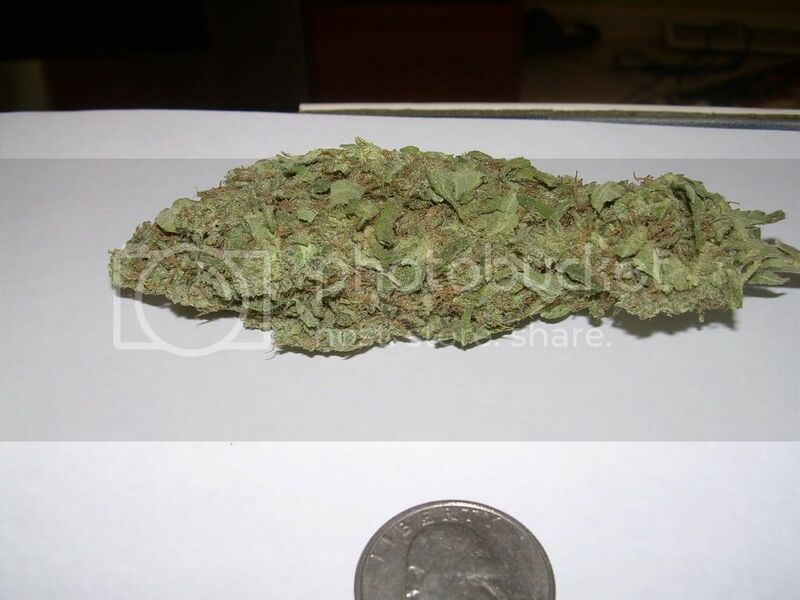 actually that does look like white widow..
i grew some of it about a year ago. looks good,no matter what it is. Nice rips and a shout out to your GF from a fellow lady stoner!! Way to represent with that huge hit! 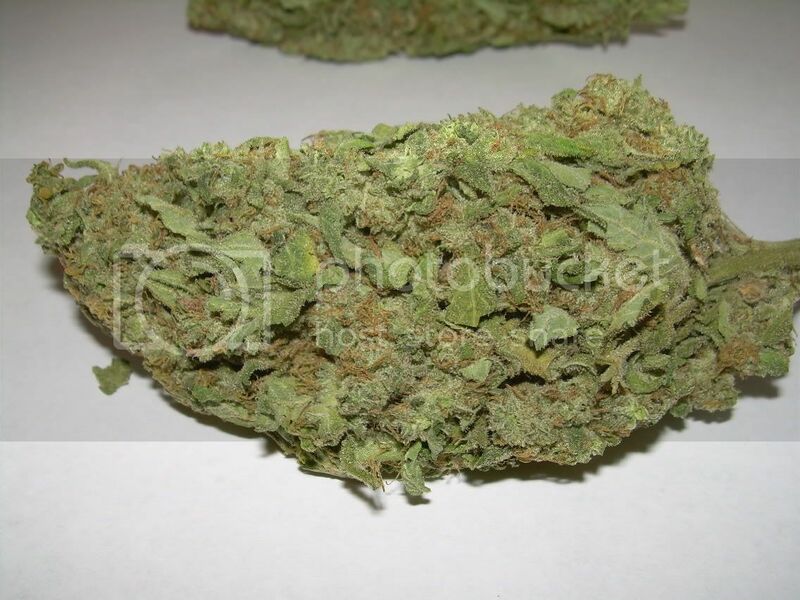 Quite dank buds son, i like. Bong is sick as hell too and your girlfriend looks like a catch. AND she smokes! DUALIES! Hahaha wtf am i saying..nice vids/pics! When you pulled the bowl out in the second vid, the smoke trailing off the end looked sweet as hell as you ripped it.